Question: What translation of the Bible into English should I use? Question: Where can I find information about the Bible in the Library? Answer: Many good introductions are in the Falvey West stacks. Works about the Old Testament in general are in the call number range BS1110-BS1199, and similar works on the New Testament can be found BS2280-BS2545. Searching Falvey’s catalog entering either “Bible OT” or “Bible NT” as a Subject is one way to start. Use the sort feature and the facets on the right to limit your search results. You may also find searching the online version of Old Testament Abstracts and New Testament Abstracts helpful for discovering journal articles. Question: How do I discover bible commentaries in the Library? Question: What if what I just want to look up a word to see where and when it is used in the Bible? Answer: Free websites like Bible Gateway enable you look up a word and see its occurrences and context in the Bible; however, you will need to determine which translation of the Bible you are using first. Not all translations are indexed on free websites. A good method is to refer to a Bible concordance. Concordances to all the major English translations may be found in the Reference collection on the Second Floor of Falvey. Question: What if I just want a brief overview of a book of the Bible or a discussion of a biblical theme or concept? Answer: To begin your research, especially if you are unfamiliar with the Bible and biblical scholarship, it is best to refer to a Bible dictionary. They often are more like an encyclopedia in that they have substantive articles in alphabetical order by keyword. 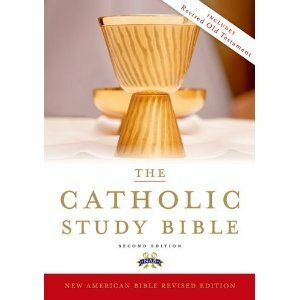 There are single volume dictionaries such as the Catholic Bible Dictionary (Call number BS440.H23 2009); and multi-volume dictionaries like The Anchor Bible Dictionary (Call number BS440.A54 1992). There’s also an online version of The Bible. To read it, click Here.